Sari Anderson of Team Nike won a come from behind victory at the XTerra Winter World Championships on March 8. Anderson’s Nike teammates, Mike Kloser and Michael Tobin, finished in fourth and fifth place respectively at the inaugural winter XTerra event, held at the Snowbasin ski resort in Utah. 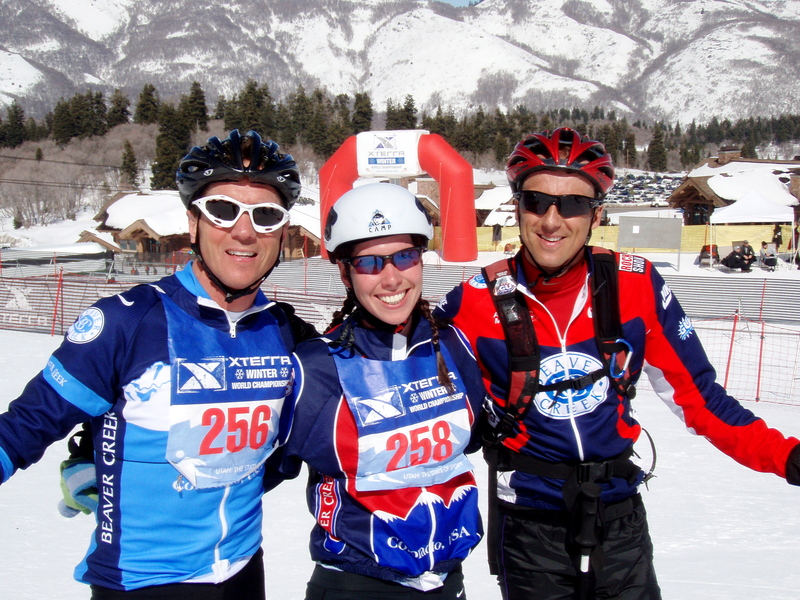 The XTerra Winter World Championships multi-sport competition began with a 10km mountain bike ride in the snow, followed by a 5km snowshoe race, a 5km snow run and an 8km ski mountaineering race. Rebecca Dussalt, an eight-time U.S. National XC Ski Champion and 2006 Winter Olympian, jumped to an early lead in the race, putting a four minute lead on Anderson after the mountain bike leg. Anderson held onto second place through the snowshoe leg, but on the snow run Kerri Nelson, the North American Snowshoe and Winter Triathlon National Champion last year, overtook her. At the beginning of the ski mountaineering leg, Dussault had a three-minute lead over Nelson, who left the transition just a few seconds ahead of Anderson. 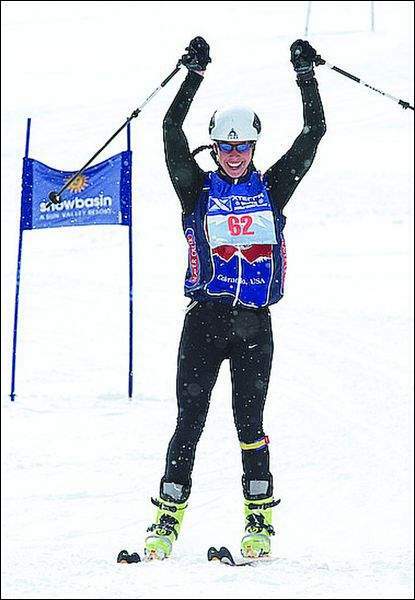 Anderson, who has had several podium finishes in regional randonnée races this winter, used her lightweight gear and experience to stage an impressive comeback in the ski mountaineering leg, jumping from third to first place with a winning time of 2:29:47, two minutes ahead of Dussault. In the men’s race, Brian Smith of Gunnison, Colo. sneaked past Josiah Middaugh of Vail just 20 yards from the finish line to win. Two-time Winter Triathlon World Champion and 2005 XTERRA World Champ, Nicolas Lebrun, finished third. Mike Kloser finished in fourth place, less than two minutes back and Michael Tobin, racing in his first ski-mountaineering competition, finished fifth. Jenny Tobin, Michael’s wife finished in fourth place among the women.